These summer themed, light and bright shades of green, sea green, yellow and emerald have become a huge part of the ongoing trend. Today, everyone wants a collection of bright and vibrant shades to liven up their living rooms. Cushion covers of a pretty sea green shade will boost the summer aesthetic that you planned for. These cushions will pop out of colour contrast and will make your home a charming and delightful place. This collection of sprightly and lively shades will welcome happiness and fun into your home. 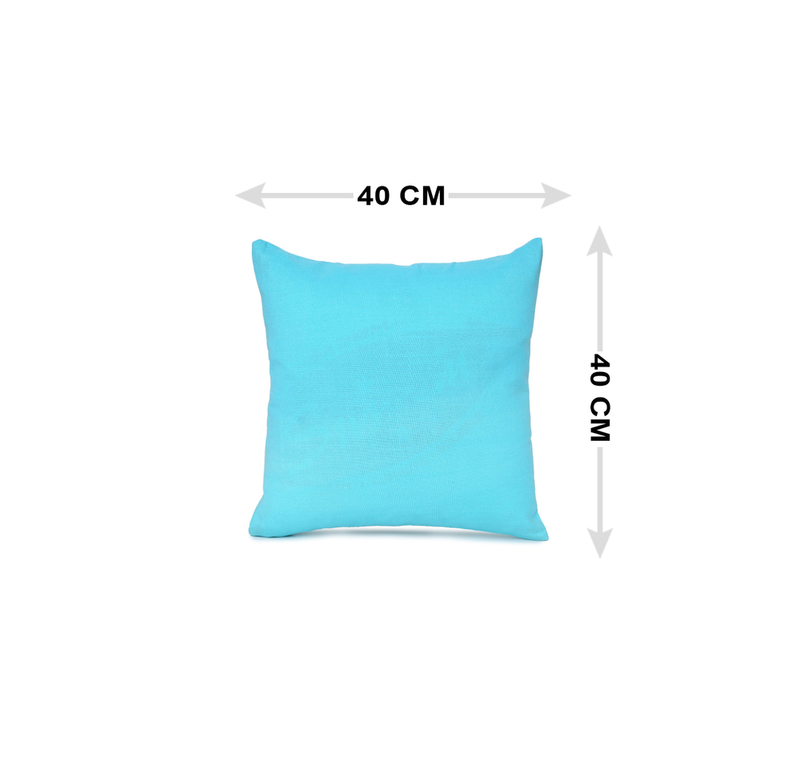 Nikamal's sea green cushion covers come in a set of two cushion covers, and are made of pure Poly, that is, faux linen. Poly is fabric that must be handled with care which is why the specific washing instructions are given include washing the covers in a washing machine at precisely 30 degree Celsius. These cushion covers each have a side that has a zip stitched into the inner lining. These zips allow the user to use the cushion covers with ease. These cushion covers can be used to either give a boost to a certain aesthetic, or it will make the background look even more charming with a pop of contrasting colour. Having such fun and offbeat colours around your home will constantly uplift everyone's spirit and please anyone who visits your home. Get your set only at @home!